The single biggest tax mistake businesses and individuals make is to willfully evade paying taxes. This doesn't mean honest mistakes or errors. This is what the IRS calls "voluntary, conscious, and intentional" conduct. It's the difference between avoidance and evasion. Tax avoidance is legal; it's what taxpayers do to avoid paying more tax than necessary. You can avoid business and personal taxes by taking deductions and credits. As long as these deductions and credits are supported by documents and within IRS and state regulations, you are avoiding, not evading, taxes. You can also avoid paying more than necessary by delaying taxes using IRAs, 401ks, and other tax-deferral methods. Tax evasion, on the other hand, is not paying taxes by illegal methods. In a recent article on Forbes, Robert Wood discusses what the IRS deems to be "willful" tax mistakes. 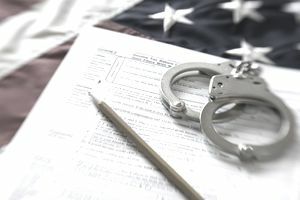 Willful tax evasion can be either a sin of commission (intentionally doing something, like paying in cash) or a sin of omission (failing to include income or failing to file a tax return. 1. Under-reporting income. All business income must be reported. This includes income from barter transactions and cash transactions. Another common way businesses under-report income is to avoid reporting large cash transactions by keeping deposits under $10,000. Deposits of $10,000 or more are required to be reported to the IRS. Some businesses try to avoid issues with payroll taxes by paying employees in cash. Paying in cash usually means no withholding for income taxes and FICA (Social Security and Medicare) taxes are paid. Reporting personal travel expenses as business expenses, such as taking a spouse on a business trip and claiming the spouse's expenses as business expenses, or claiming personal miles as business miles. Claiming other personal expenses as business expenses. 3. Not reporting taxes. The most common ways businesses fail to report taxes are the failure to report sales taxes and payroll taxes. These taxes are called "trust fund" taxes, because they are collected from others (customers, in the case of sales taxes; and employees, in the case of payroll taxes) and held in trust by the business, to be reported and paid to the appropriate taxing authority. Willfully using these taxes to fund a business instead of reporting the collection and paying when due is tax fraud. One of the most common ways businesses are caught in tax fraud is to have a lifestyle that's not aligned with their reported income. A high-flying lifestyle indicates that business income hasn't been reported, in most cases. In Hawkins vs. The Franchise Tax Board of California, a bankruptcy case, the Hawkins family lived a "truly exceptional" lifestyle while claiming they were bankrupt. The 9th Circuit Court and the California Franchise Tax Board determined that "maintenance of a rich lifestyle after their living expenses exceeded their income constituted a willful attempt to evade taxes." Any business can make a legitimate mistake. But remember that ignorance of the law is no excuse. A business owner has an obligation to know - and abide by - the law, or face the consequences. If acts are deemed to be "willful," the court may deem these acts as felonies or misdemeanors and may result in heavy fines and imprisonment.